A documentary charting the rise, fall and criminal enterprise of Rudy Kurniawan is out on general release in UK cinemas today. Sour Grapes charts the spectacular rise and fall of the now imprisoned wine fraudster Rudy Kurniawan. The case has been closely chronicled by wine trade publications and bloggers since his arrest by the FBI in 2012, subsequent trial and conviction through to 2014 and the appeals and fallout that continues to this day. Nonetheless, even those well versed in Kurniawan lore may find the findings and testimonials in Sour Grapes interesting; featuring as it does those involved in bringing him down (Laurent Ponsot, Don Cornwell and Maureen Downey for example) and those duped by him (billionaire Bill Koch). The film also looks into the brash, profligate, posturing world that was the US auction scene in which Kurniawan operated. First aired at the Toronto film festival this May, the film has now reached UK shores and has been well-received by critics, the Guardian’s Peter Bradshaw gave it four stars and called it “highly entertaining”. Reviews from the Independent and Financial Times have been similarly positive, so too press in the US. The National Post in its review suggested that it “might be more involving if it delved into the psychology of fraud and the willingness of some people to believe in the fake,” but added that the ending (as many suspect) points to far greater depths to this tale than has so far been unearthed. 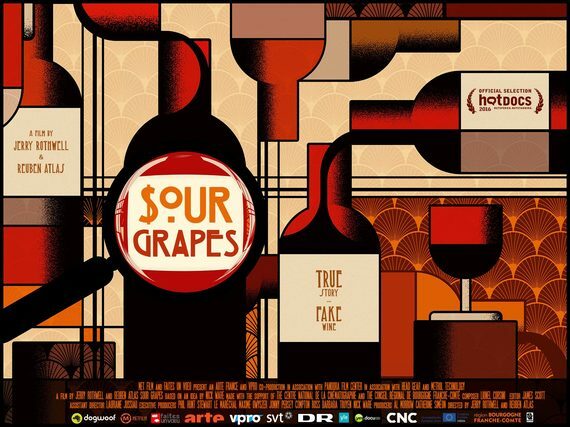 Sour Grapes is out today (16 September).